Your health and quality of life can be harmed very quickly by a motor vehicle accident. Even a small accident can cause you to lose time from work or cause you to lose your job. Major accidents cause great pain and suffering and can be life-changing events. After you are injured in a life-changing accident, you will be forced to deal with insurance companies to obtain compensation. Dealing with insurance adjusters is always hazardous. The strength of your claim depends on what you say and do. It is not a good time to learn by making mistakes. As soon as you are sure that you have been injured it is time to consult a car accident lawyer to get the professional counsel you need. Even careful drivers cannot anticipate every possible accident situation. Other drivers often act in an unpredictable manner so you can never be sure what they will do. Following are some examples of the risky negligent behavior that you will have to contend with as a driver. Whenever someone exceeds the posted speed limit or drives too fast for current road and weather conditions they are acting negligently. Excessive speed causes many accidents. Running stop signs or failing to yield the right of way when required often causes accidents. Often drivers are not familiar enough with the rules of the road controlling the right of way at intersections. In an unmarked intersection, the driver to the right has the right of way. However, both drivers also have the duty to maintain a proper lookout. This leads to the determination that both drivers are usually considered partly at fault for open intersection accidents. At an intersection with stop signs at all four sides, the right of way goes to whoever got to the intersection first. Driving under the influence of alcohol or drugs causes many accidents. DUI is a leading cause of traffic fatalities in the whole country. Any texting while driving is extremely dangerous. Cell phone use should be minimized. Cellular telephones are best used with a hands-free or Bluetooth radio. Other frequent distractions include eating or drinking while driving. Although you do not want your claim to take too long, it is a mistake to rush the process. You may not even know the extent of your injuries until a while after the accident. It usually takes a while to settle down and stiffen up before you can be sure if you were injured. Allowing an insurance adjuster to pressure you into settling your claim prematurely can keep you from getting the treatment you need to recover from your injuries and it can prevent you from getting the compensation you deserve. Insurance companies often like to try to rush the process to limit the size of the claim and reduce the payments that they have to make. Anything you say from the beginning of a claim can be used against you later. When one of our clients at the Montag Law Office needs to give a statement as part of the investigation of a claim, Steven Montag makes a policy of participating in the statement by a three-way telephone call or in person to personally safeguard your rights. This includes records of medical treatment. Sometimes medical history is also needed. However, we do not want to give an unrestricted license to any insurance company to gather your personal information without good reasons. The car accident lawyer Steven Montag has handled thousands of claims and has the experience to expertly evaluate your case. This involves examining the strengths and weaknesses of your situation. Whether you are choosing medical treatment, negotiating a settlement of your claim or litigating, we can help you make the right decisions. 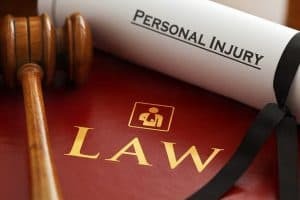 If you have a serious enough injury to require a significant amount of treatment with a doctor and you are missing work, you may have a large enough injury claim to involve a car accident attorney. Call (402) 434-2880 for a free initial consultation and case evaluation.